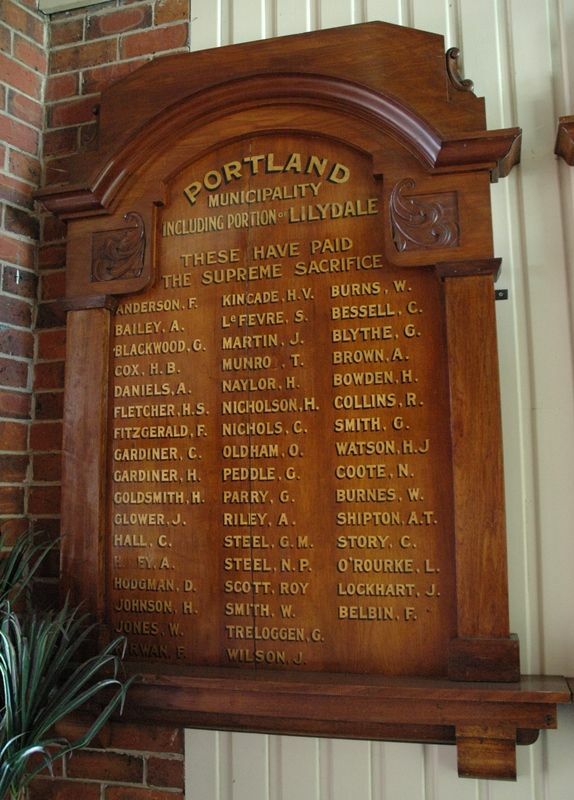 A wooden honour roll commemorates the service personnel from Portland and Lilydale who died in service or were killed in action in World War One. It lists 49 names. Facing the township, but with a background of mountain scenery, no place could be more restful for the patients, who come from all parts of the North-East Coast. The hospital, which is one of the finest country hospitals in the state, was erected in 1922 and cost £12,000, of which about £3000 was subscribed by the people of the North-East. It is a fitting memorial to the fallen soldiers of the district, combining the quality of endurance, that will keep alive in future generations, the memory of a great sacrifice, with the more practical quality of general usefulness. The entrance lobby contains three blackwood honour rolls, inscribed with the names of the fallen soldiers of the Scottsdale, Ringarooma, Lilydale, and Portland municipalities. Examiner (Launceston) , 16th November 1929.